The Rams' win could create a third meeting in the Class A South quarterfinal. 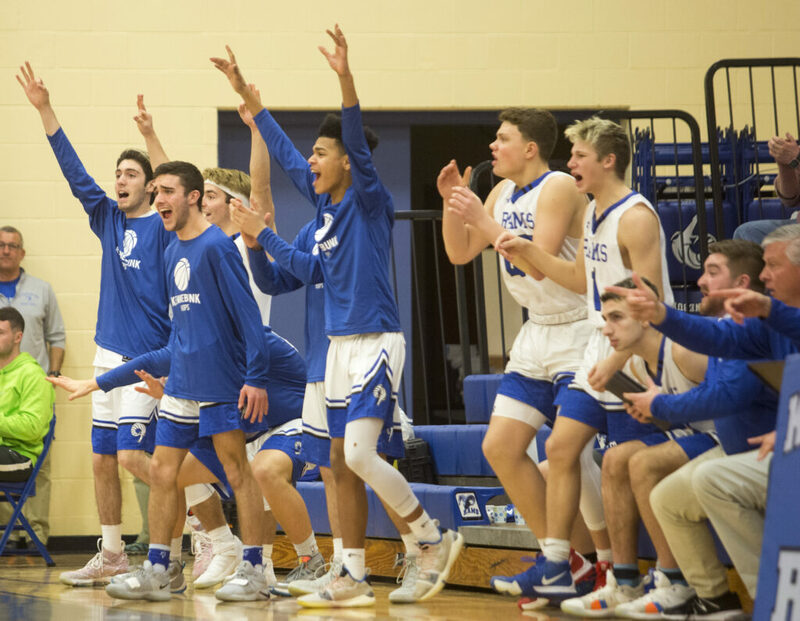 KENNEBUNK — The Kennebunk High boys’ basketball team beat Falmouth for the second time this season, winning Thursday’s Class A South regular-season finale, 54-51. And the win could set up a third and more important meeting. Kennebunk (14-4) expects to stay No. 5 in the standings and still will trail Falmouth (13-5). But Falmouth, which entered the night ranked third, could slip to No. 4 when the Heal point dust settles. If that happens, Falmouth vs. Kennebunk III will be a regional quarterfinal on Feb. 15 at the Portland Expo. 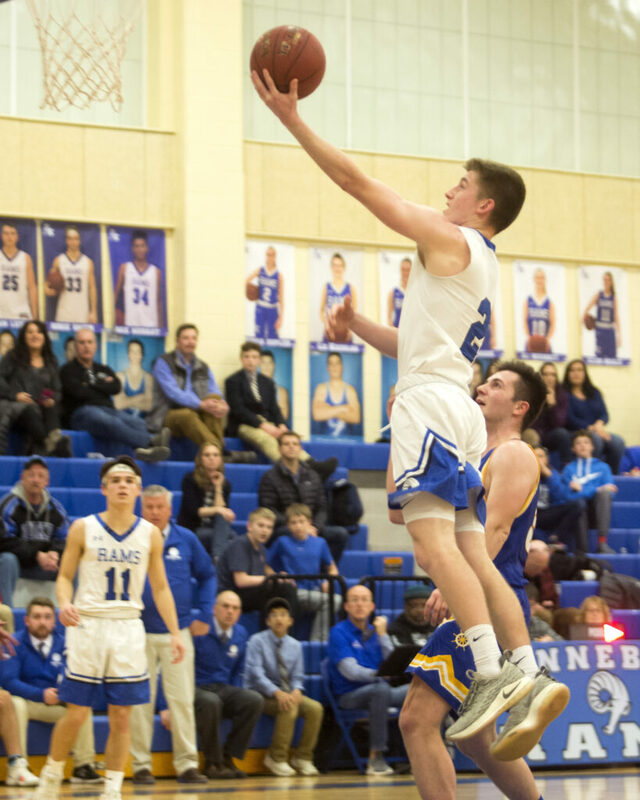 Zack Sullivan (16 points) took over in the fourth quarter for Kennebunk. Sullivan converted a four-point play after being fouled on a made 3-pointer to give Kennebunk a 50-47 lead with 2:32 to play, further revving a large Kennebunk student section. 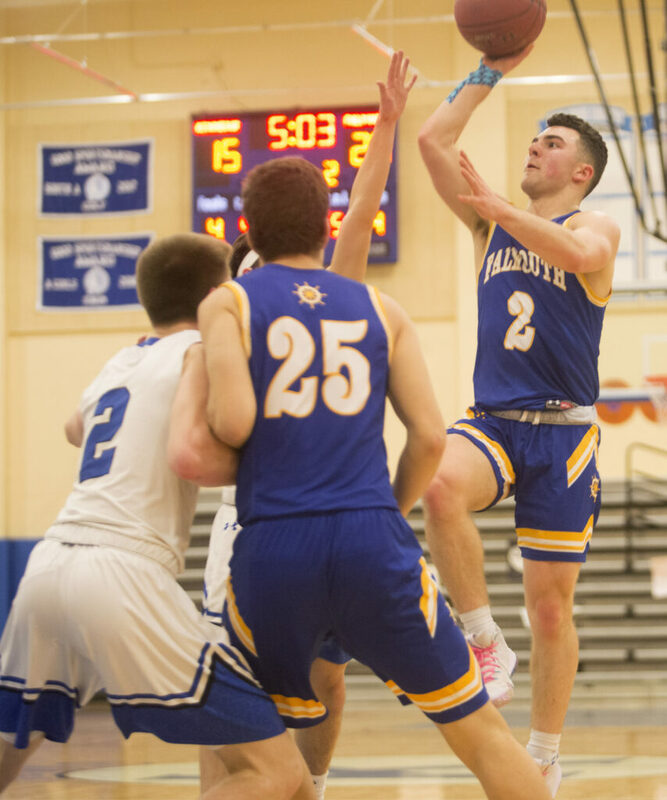 Then, in quick order, Sullivan, one of Kennebunk’s three senior starters, drove baseline for another basket, drew a charge, and came down with two tough defensive rebounds to keep the lead at 52-47 with under a minute to play. Falmouth nearly got it to overtime. Michael Simonds hit a tough leaner in the lane to cut the lead to three. 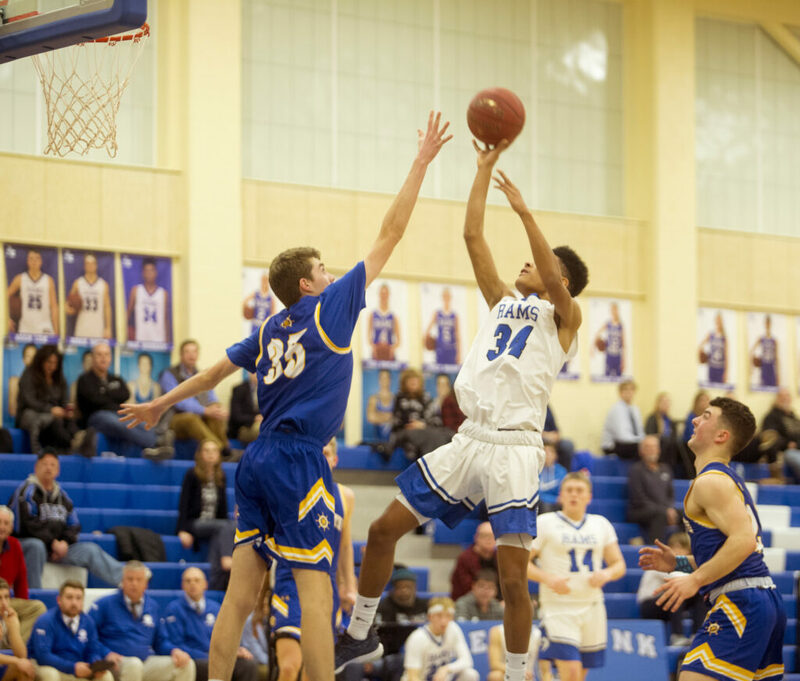 After two clutch free throws by Max Murray, Kennebunk’s 6-foot-4 junior forward, Nik Hester of Falmouth converted an offensive rebound with 2.2 seconds left. Then the lanky 6-7 Hester snatched the baseline inbounds pass, dribbled to the corner and got off a 3-point shot that beat the buzzer but missed. 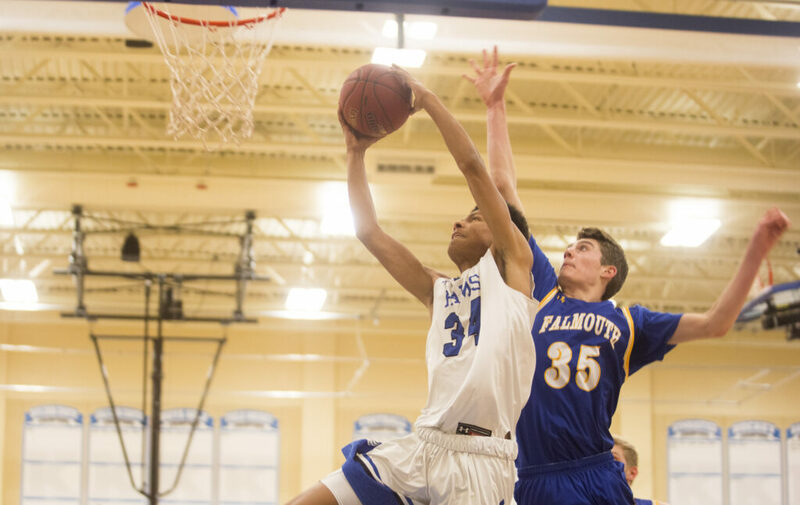 Murray led Kennebunk with 22 points. 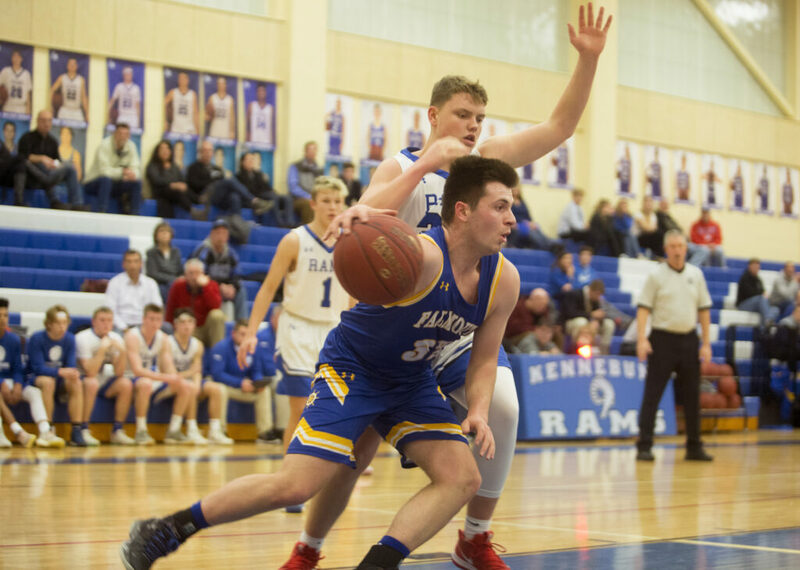 He scored nine in the second quarter – six after Falmouth built the largest lead of the night for either team at 24-16 – helping create a 24-24 halftime tie. “Max, his last three games has been averaging over 30. He’s the best big player in the state, I think,” Leal said. 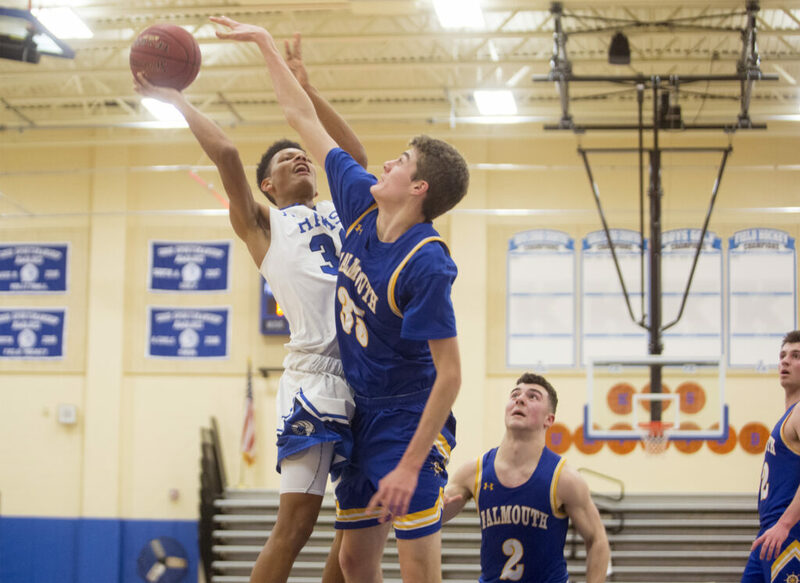 There were eight more ties until Sullivan’s four-point play, with Murray scoring 11 second-half points to counter Falmouth’s inside game featuring mid-range jumpers from Hester (14 points), power postups from Sam Manganello (19 points) and drives by Simonds (10 points).